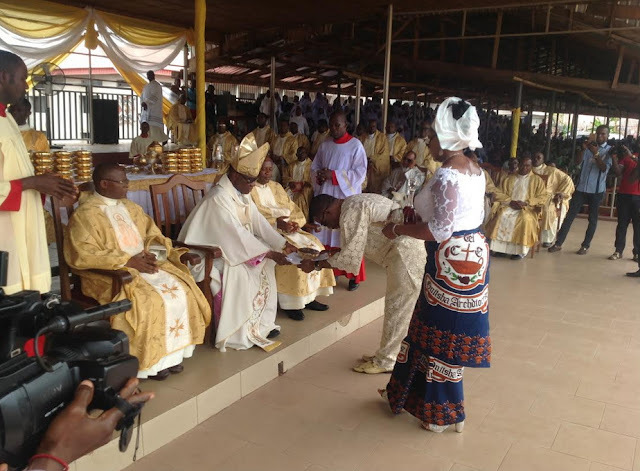 The Metropolitan Archbishop of Onitsha, Most Rev Valerian Okeke has urged Nigerians to embrace peace wherever they find themselves if any meaningful development and mutual existence would be achieved in the country. 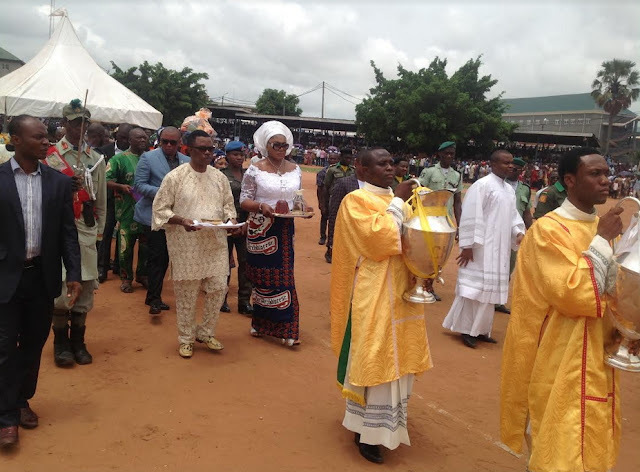 The Archbishop was delivering a sermon before hundreds of thousands of catholic faithful within the Onitsha Episcopal Region of the Archdiocese of Onitsha who gathered at the Basilica Square,Onitsha for Chrism Mass on Thursday. According to the Archbishop Okeke, the peace he was emphasizing was the true peace of Christ which Christ himself listed in his Beatitudes, where he pointed out saying,”blessed are the peace makers for they shall be called sons of God”. The Archbishop called on the faithful to become agents of true peace, pointing out that peace enforced with intimidation and fear is not a true peace. In his remarks, the Governor of Anambra State, Chief Willie Obiano expressed gratitude to the Archbishop for preaching peace particularly at this time the state is preparing for the 2017 gubernatorial election. 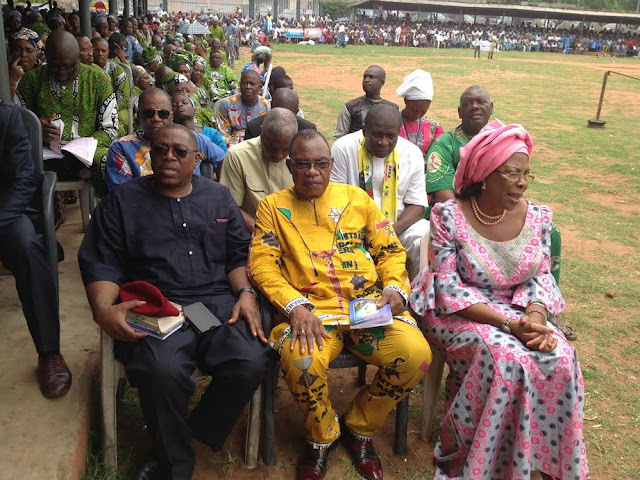 The governor listed some of his numerous achievements to include the recently flagged off Anambra Cargo and passenger airport at Umuleri,Anambra State. Highlight on the occasion are the official unveiling and presentation of the Archbishops 2017 Lenten Pastoral Letter titled,”blessed are the peace makers for they shall be called sons of God”, blessing of the Chrism Oil and presentation of gifts to the Archbishop by the faithful popularly called Cathedraticum. 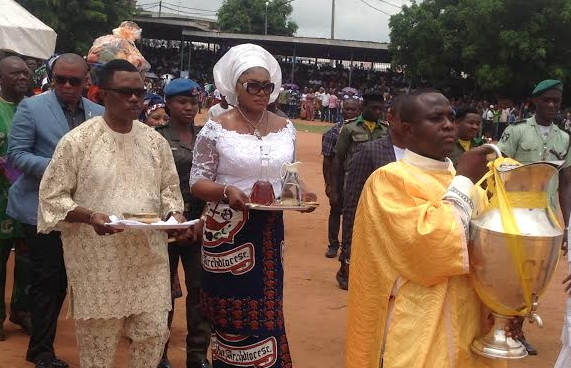 Photo shows Gov Willie Obiano and wife during the offertory procession, top government officials and the Archbishop receiving offertory materials from Gov Obiano and wife. u may not be perfect but YOUR GIANT STRIDES IN THE STATE TO MAKE IT number one in the nation is felt by all corners.may your humility guide mr governor.